The enhanced PYP is on its way - and to facilitate the transition the IB is sending out emails and informational documents, conducting webinars and developing a series of workshops. Last week was the webinar on The Learner which together with the document The Learner in the Enhanced PYP was the first deep dive into the changes. Of course I was more than delighted to see that voice, choice, ownership and agency are at the heart of the enhancements for everyone in the learning community, so that students, in partnership with teachers and others in the community, will be empowered to take charge of what, where, why and with whom they learn, and they will be supported to take meaningful action. What does agency look like? First of all it's important to point out that agency is not a skill - it's a mindset. The image below is taken from one of the slides in the webinar. 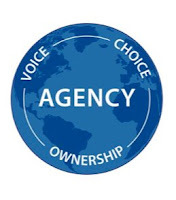 It shows agency in action. 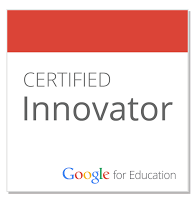 It draws on the fact that students are capable learners and natural inquirers. 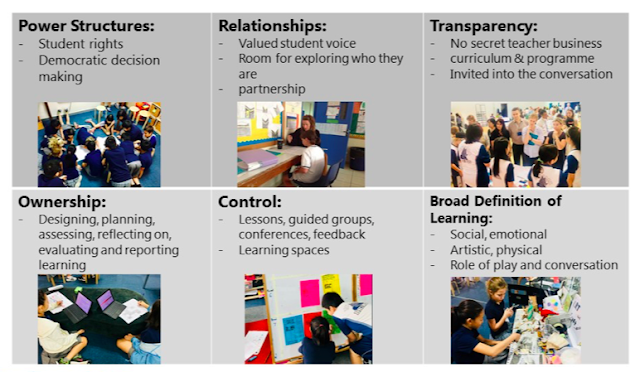 As Tim Scarrott pointed out on Twitter, "Student - initiated action will be considered a dynamic outcome of agency and an integral part of the learning process that can arise at any time." 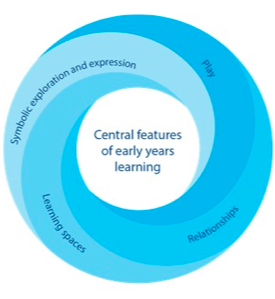 An important change is that the early years range has now expanded to students aged 3-6. There will be an increased emphasis on play and schools will be able to offer a minimum of 4 units of inquiry each year for this age range. The key emphasis at this age will be planning uninterrupted time for play, building strong relationships with students and their families creating and maintaining responsive/interactive learning spaces for play and offering many opportunities for exploration and expression. Basically we are recognising that learning is play and play is learning. Ply is a vehicle for learners to make sense of the world and teachers need to notice and name where the learning is in the play. They can look for the ATL and learner profile attributes that are being developed through play. 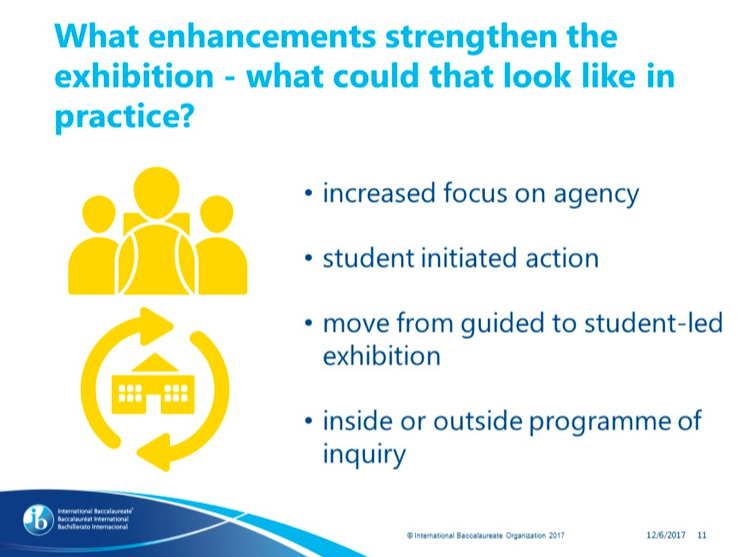 How do assessment and action work in the enhanced PYP? There will be a shift in focus from summative assessment to continual monitoring, documenting, self-assessment and feedback. Action won't be something that happens at the end of a unit - it can also be something that takes place over a period of time. Action is a manifestation of student agency. 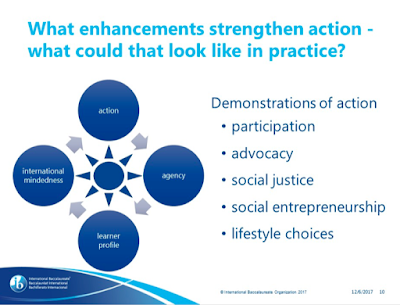 The graphic below was shared during the webinar illustrating the various elements of action in practice. These changes will inevitably have a knock on effect on the PYP Exhibition. Again there is the move away from the Exhibition being an assessment with more emphasis on process rather than product. Students will have agency about what they want to inquire into. It will be more student-led as far as design and implementation. Schools will also be able to choose whether on not the Exhibition sits inside or outside of the Programme of Inquiry - it does not have to be the 6th unit! I'm super excited that there will be more releases and webinars coming up in 2018. In January and March the focus will be on learning and teaching, and in May on the learning community. The digital resource will be released in August.